In the latter half of 2014, Amazon surprisingly released a standalone digital assistant that couldn’t be matched by its competitors in terms of quality and aesthetics. A cylindrical speaker with a microphone called Echo holds the lead at 70% from all digital assistant use in the US against its competitors Google Home and Alphabet. Although the idea of talking to an inanimate object is unusual and uneasy to many, this is a new concept that companies are working on and are gaining traction. In a market survey report, Emarketer made an estimate of about 36 million Americans use voice-activated digital assistant at least once in a month’s time which is a rise of 129% compared to last year. There are three Echo models made available by Amazon: Echo, which is the original model, the Echo Dot which is low-end and the Echo Tap Speaker which is portable. A personal assistant named Alexa voices the Echo devices. More than half of all Echo units are accounted for by Echo Dot itself. 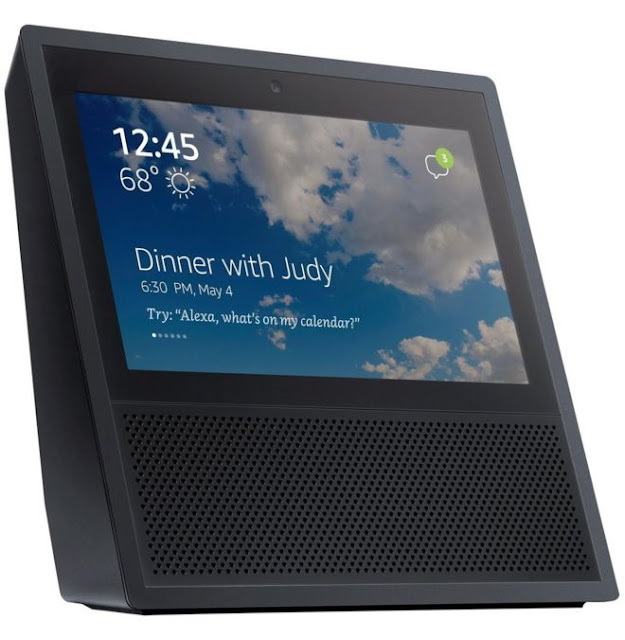 The new device, which is Amazon’s latest effort to gain more success in this area, is likely to have a 7-inch touchscreen and provision for video calling along with weather condition display and other data. It will be a big help in assisting many digital assistant users for simple things such as knowing how long back the timer was set or knowing the time where the digital assistant will simply announce it. Adding a screen to this interaction, simplifies things and opens a whole wide variety of possible interactions and new ideas. The leading company in selling assistants is not determined on the basis of its sale statistics. In a short span of time, Amazon became a major player on the basis of something nobody else thought of and that is home automation. Emarketer’s survey reveals that once a user opts for one brand of digital assistant, they are very unlikely to switch to another brand in the future. Amazon’s current lead in the sale of its digital assistant as compared to those of its competitors will be huge pay off when the internet is used in every day-to-day activity. Unlike Amazon, its competitors are yet to catch up with the whole voice-activated digital assistant concept. CCS Insight analyst Geoff Blaber said that ultimate leader in this field will be those who can maximise customer data, have the ability to process natural language, provide it all to developers to build on and simultaneously maintain tight privacy. Compared to its rivals, Amazon has made itself developer-friendly to a vast extent in order to move even more ahead in its lead. However, in Emarketer’s opinion, Amazon’s market share is likely to reduce from here as it is expected that Google Home may slowly cause a dent in Amazon’s current lead over the next year and a standalone version of Siri from Apple or standalone Cortana are yet to come. The shortcomings of Amazon’s FireOS could be exposed if screen-supported interface were to become standard. In the end, Amazon is likely to be subjected to market pressure with Echo as it encounters more competition.